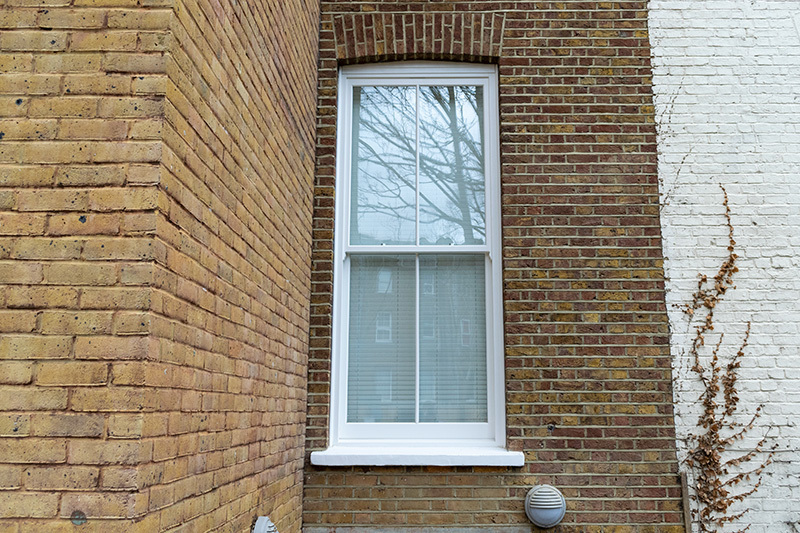 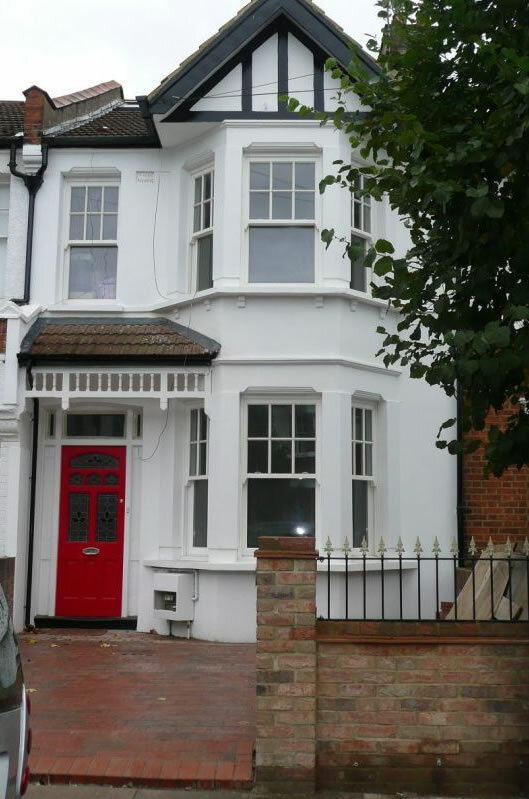 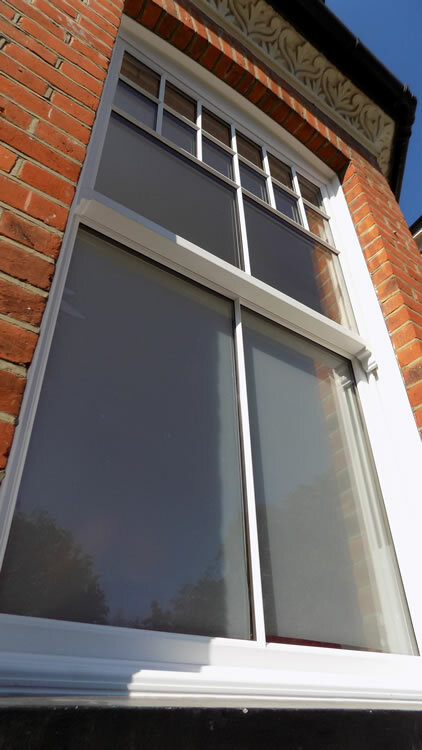 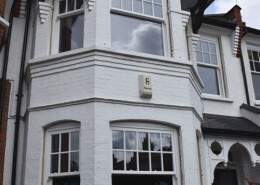 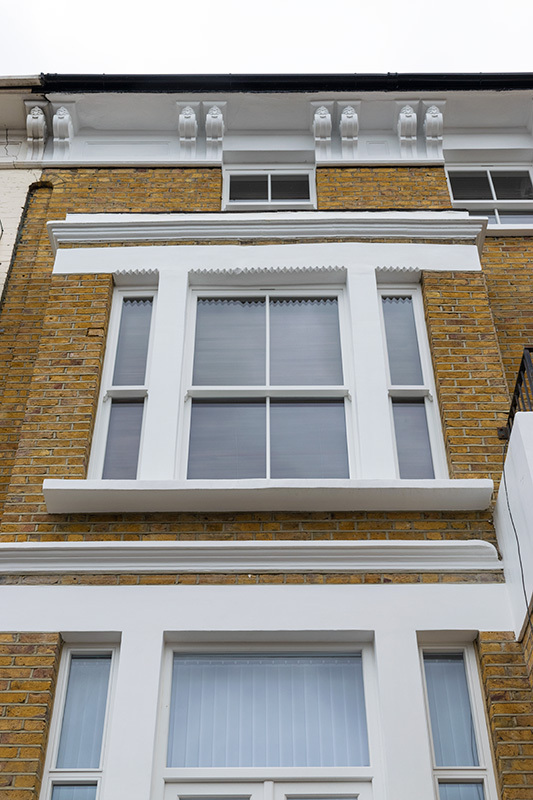 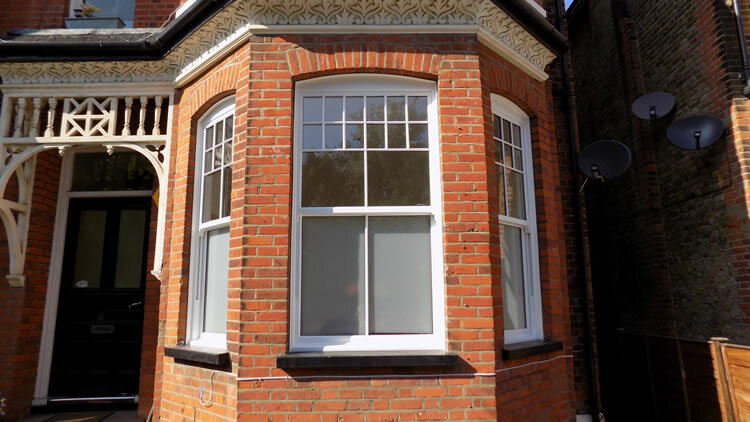 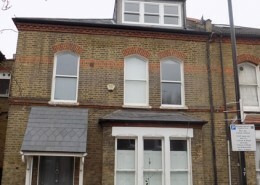 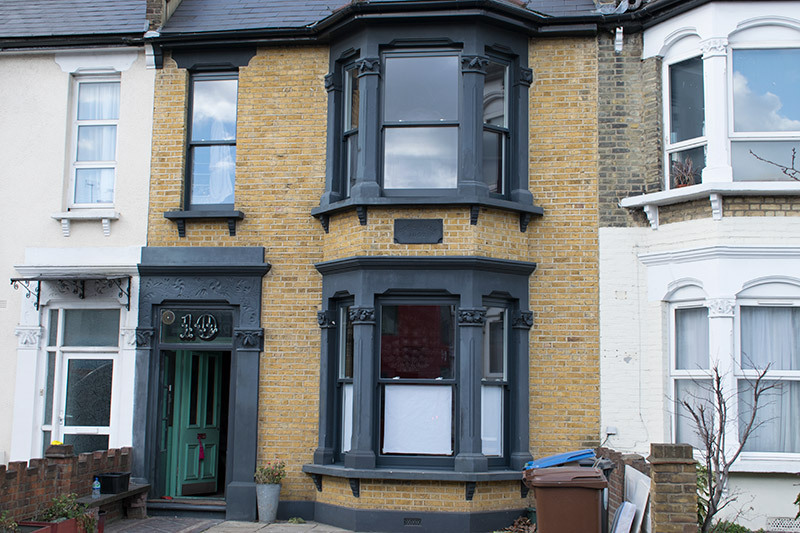 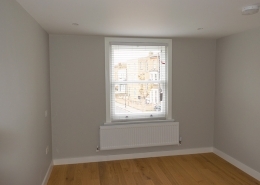 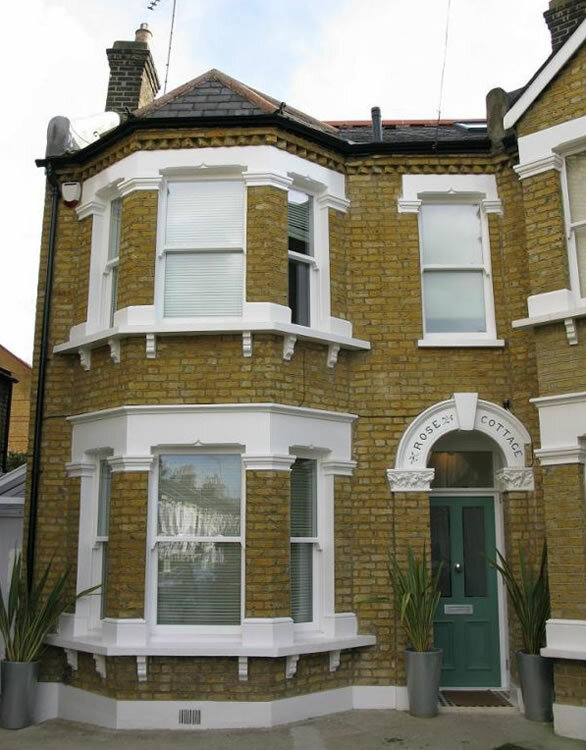 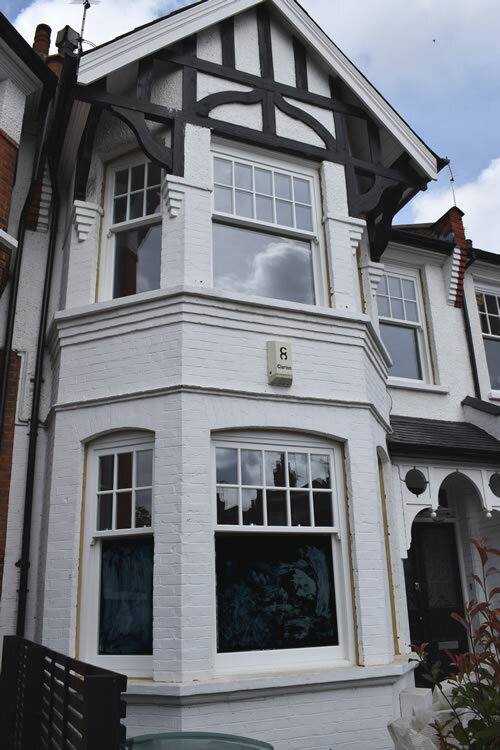 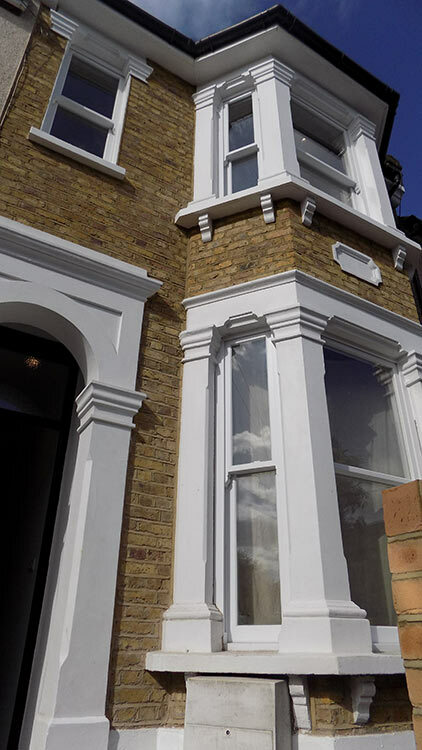 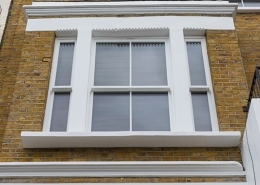 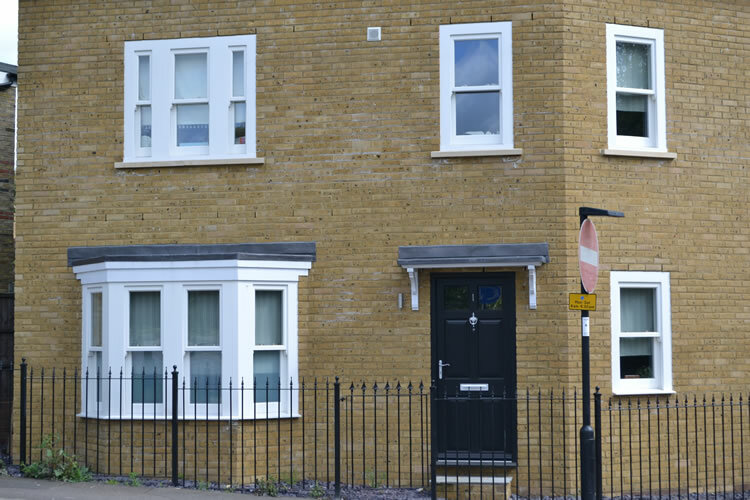 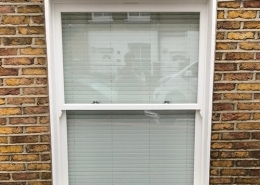 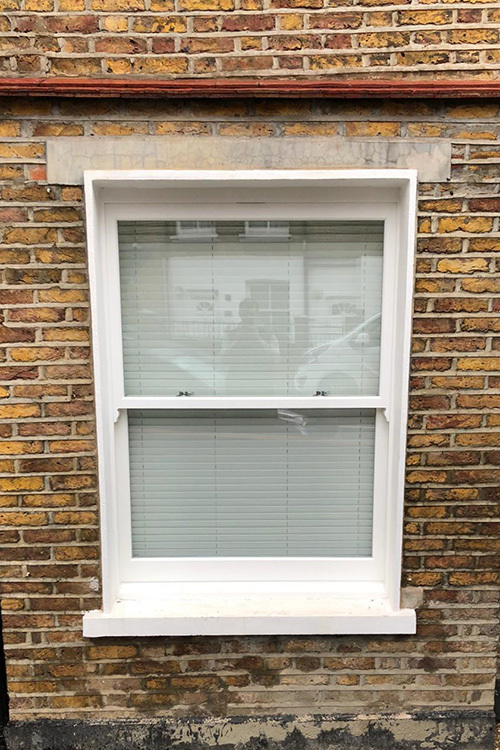 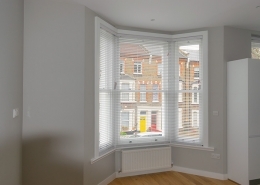 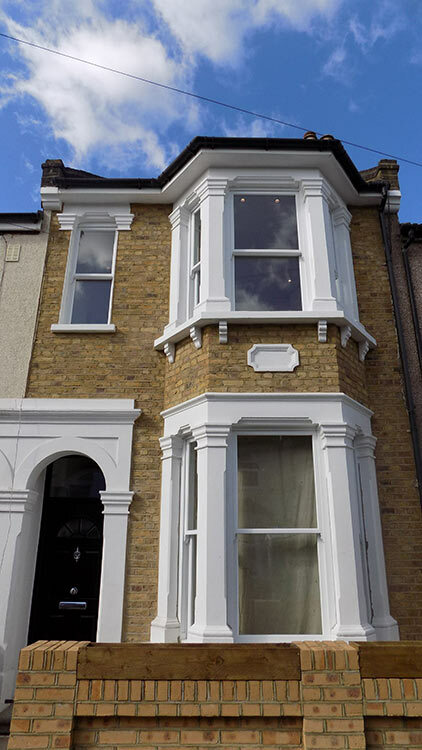 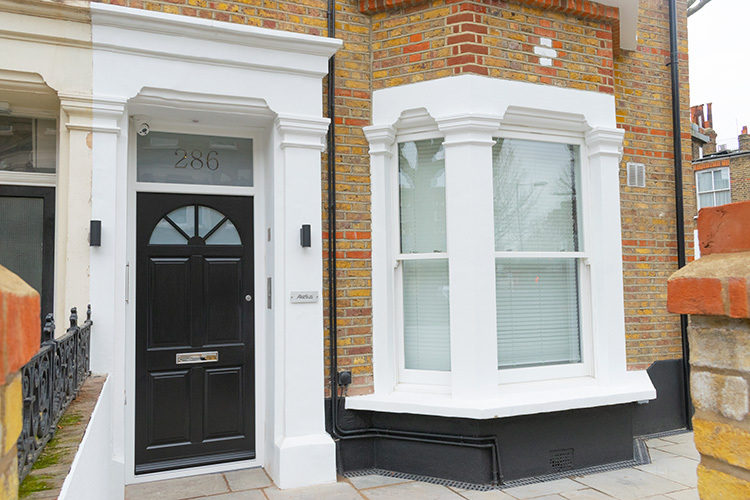 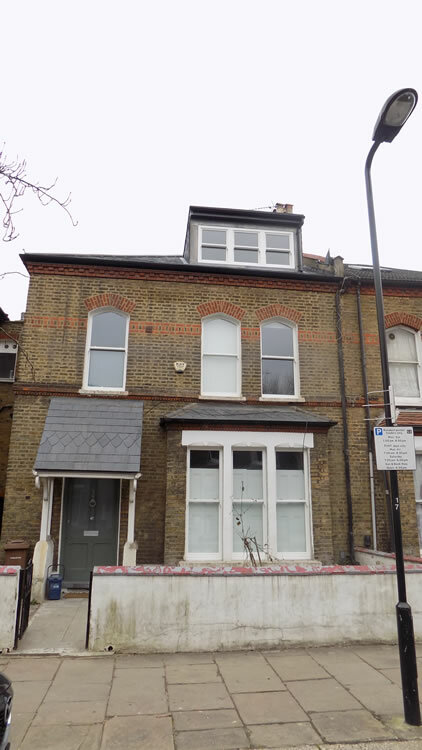 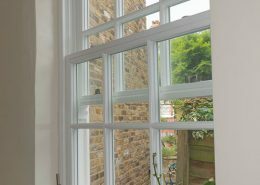 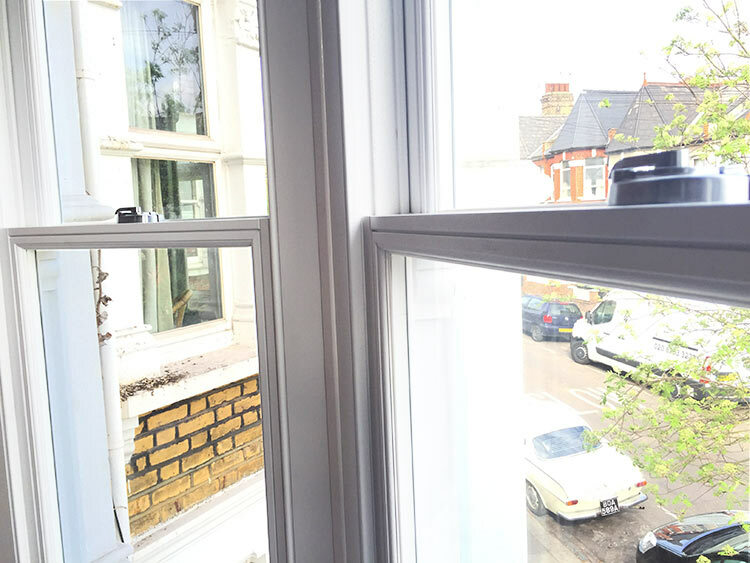 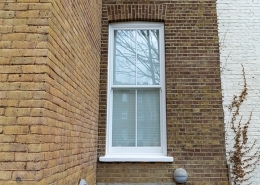 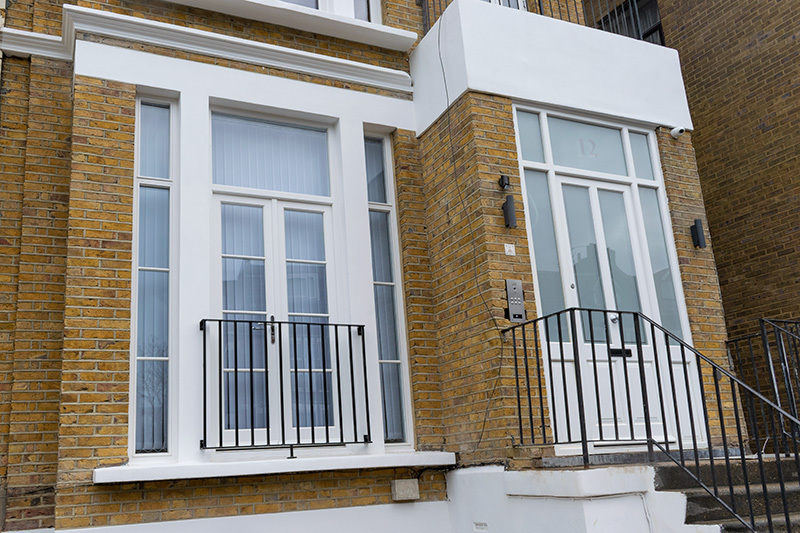 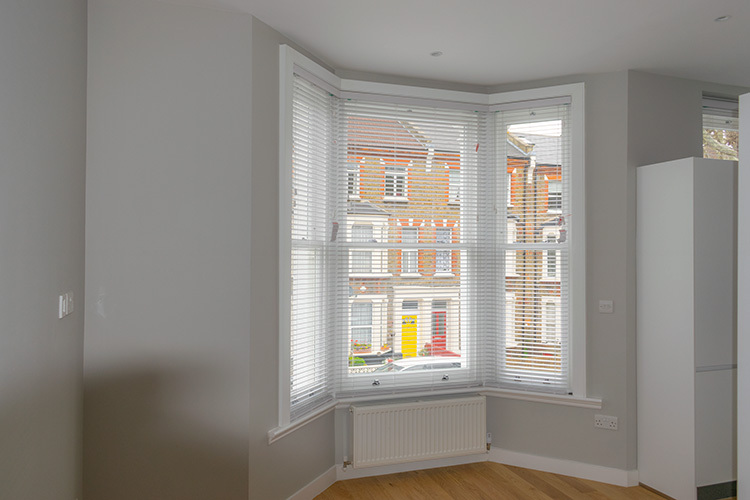 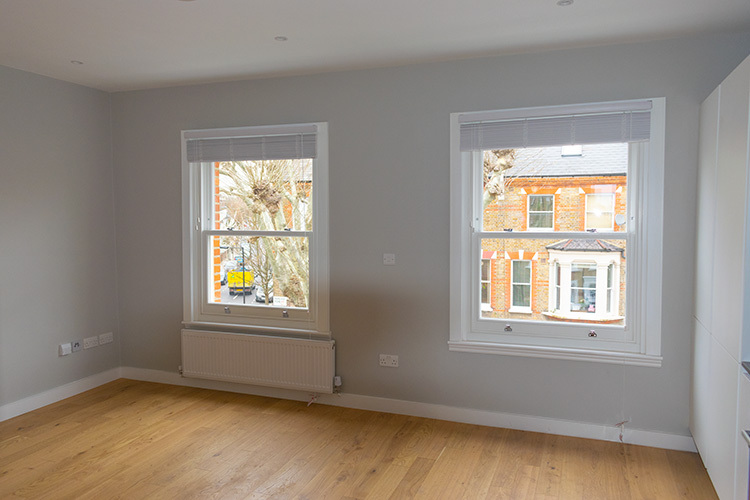 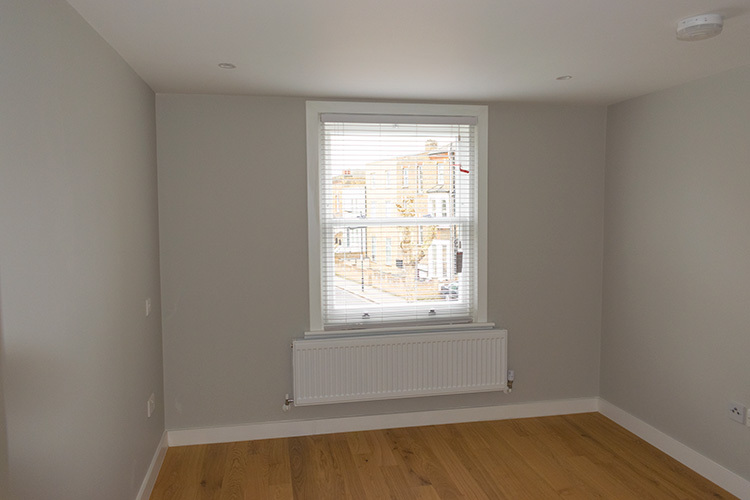 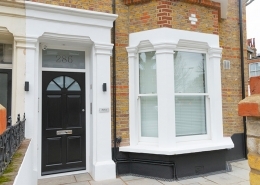 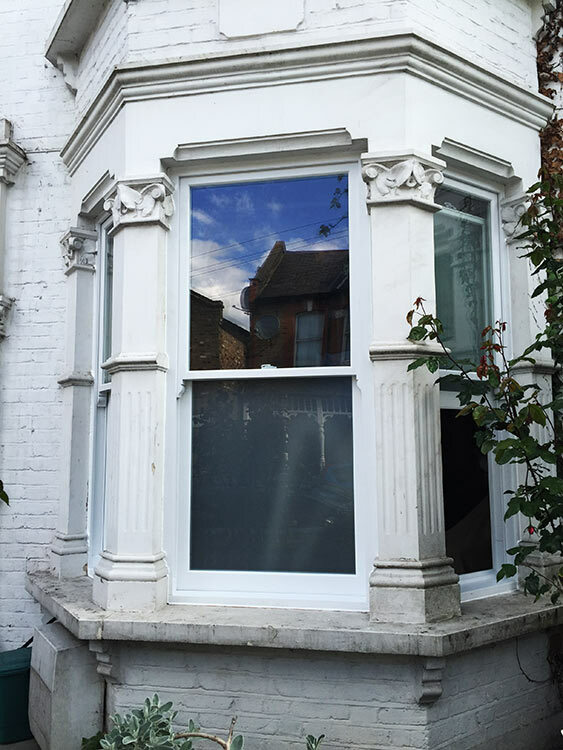 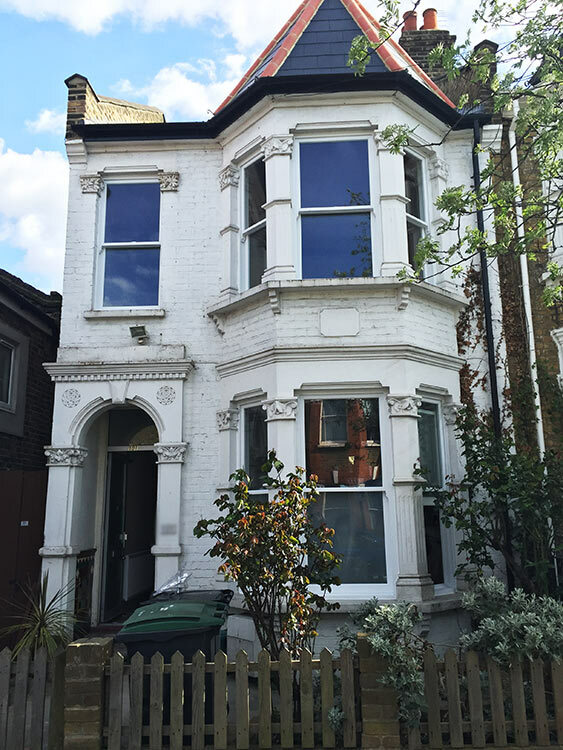 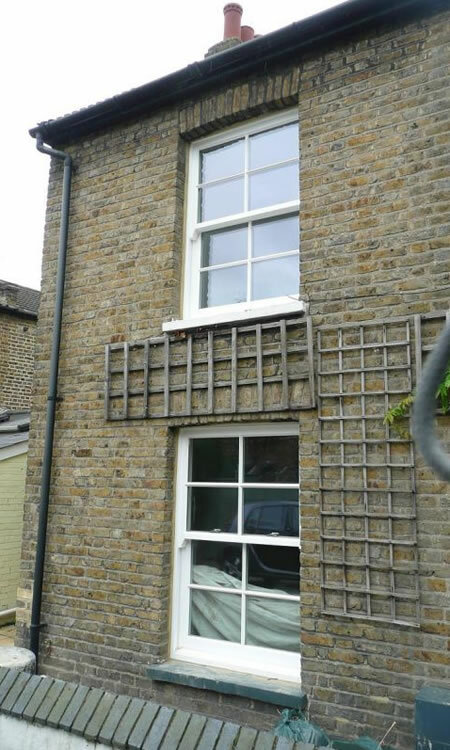 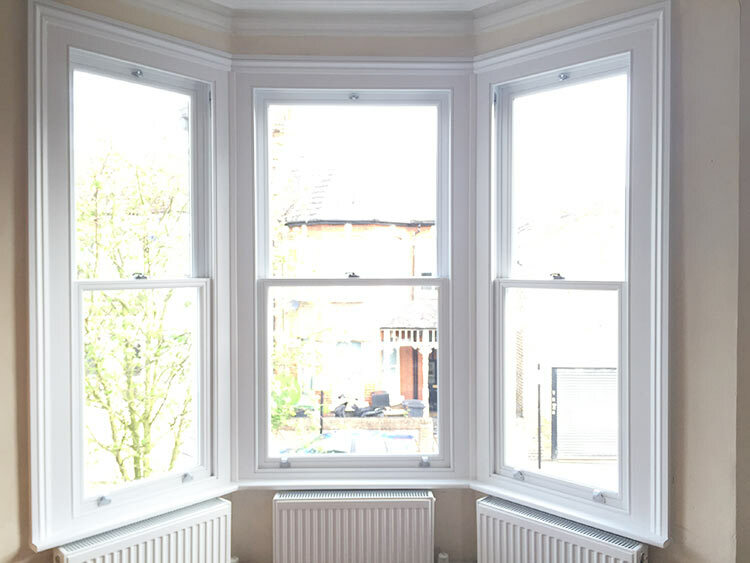 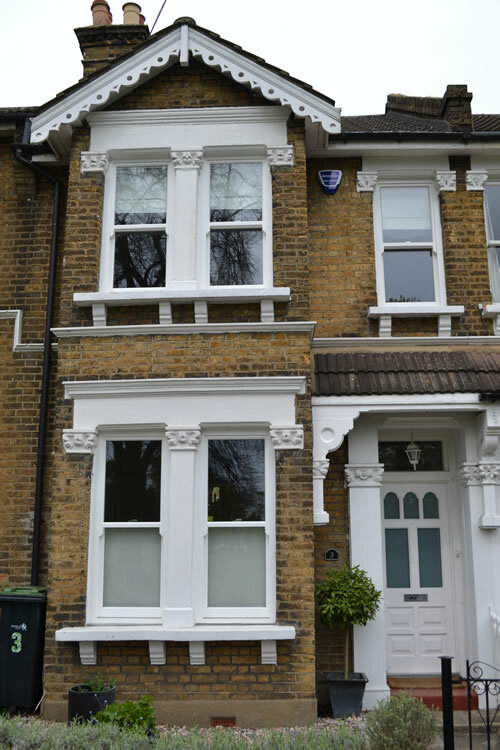 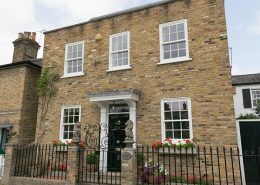 The design of our vertical sliding sash window is the product of an extensive collaboration between the technicians of Enfield Windows Company and the manufacturers. 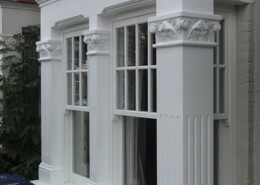 Our Timber Sash Windows are created and designed to reproduce, the timeless look of English sash windows which were progressively developed from early use by the architect Christopher Wren, through to their most elegant peak in the Georgian and Edwardian periods. 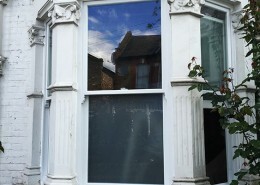 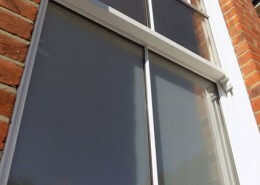 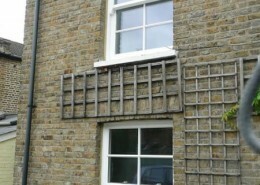 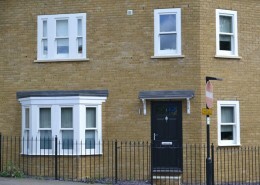 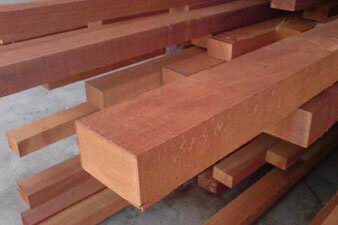 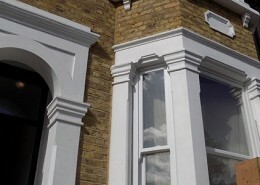 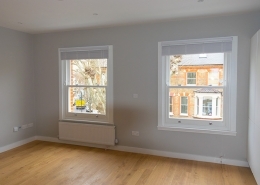 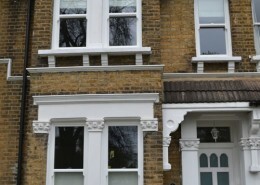 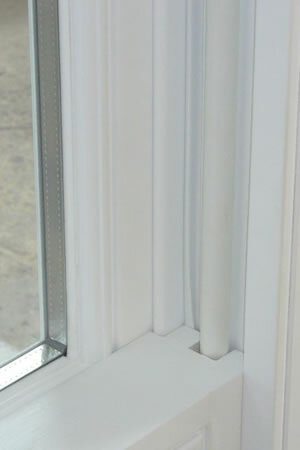 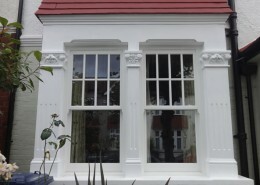 Thanks to modern design and construction techniques, the dimensions of sash frames, meeting rails and glazing bars have been reduced to a more slime line profile, with traditional mouldings subtly modified to suit modern construction technology. 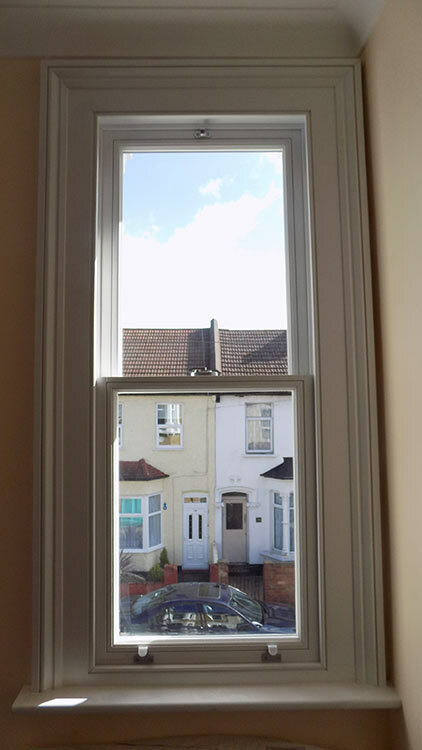 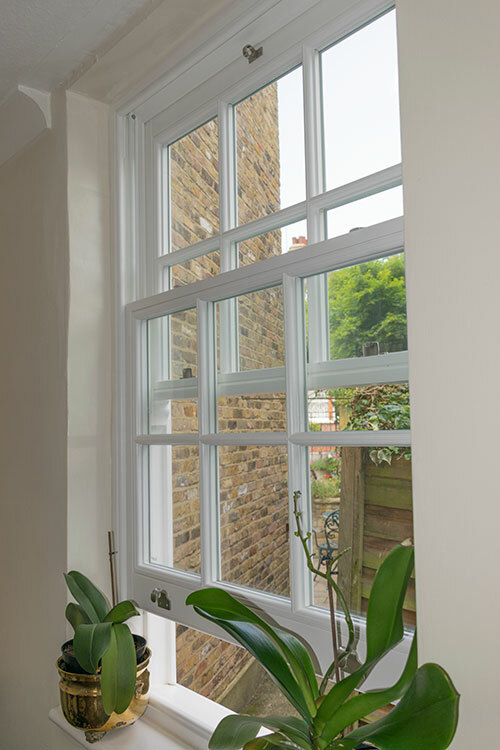 To accommodate the extra weight of today’s modern double-glazed units, the sliding sashes are hung on traditional sash cords; this means that the frame retains a long proven reliability of the simple counterbalance weights and in the long term significantly means less maintenance. 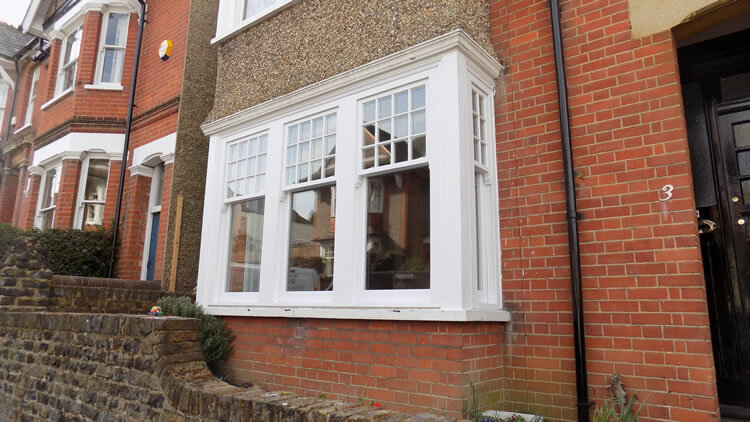 At Enfield windows we are specialist’s in beautifully crafted timber windows and doors which offer all the advantages of modern technology. 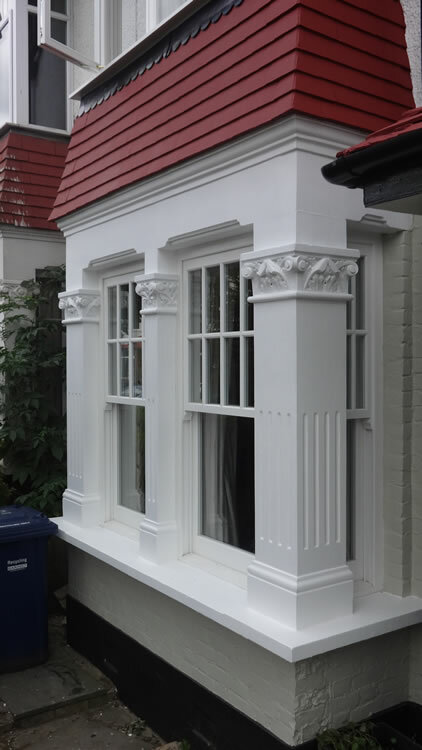 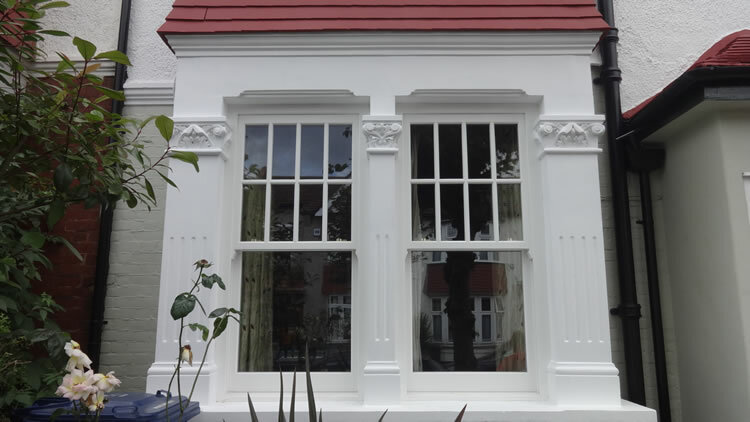 Using multi layered cross grained timber with micro porous factory finished paints, our casement and sash windows can be replicated to any design and style required and are all tailor made to suit your requirements. 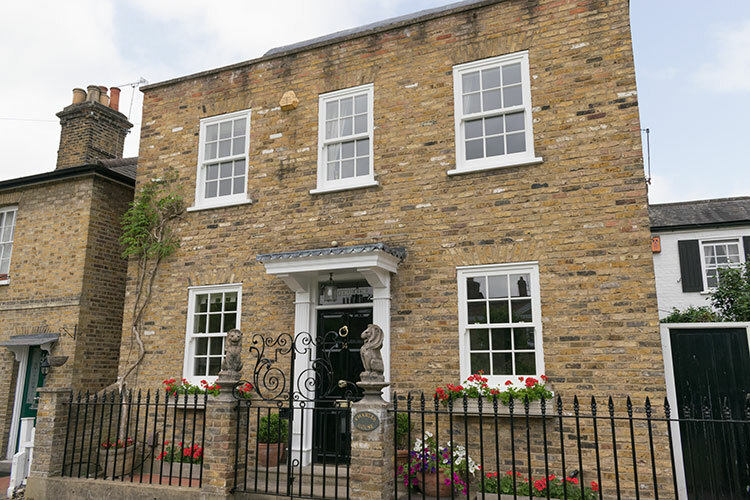 These truly are a stunning window and a great option for customers looking to achieve all the benefits of double glazing whilst also wishing to maintain the character and charm of their property. 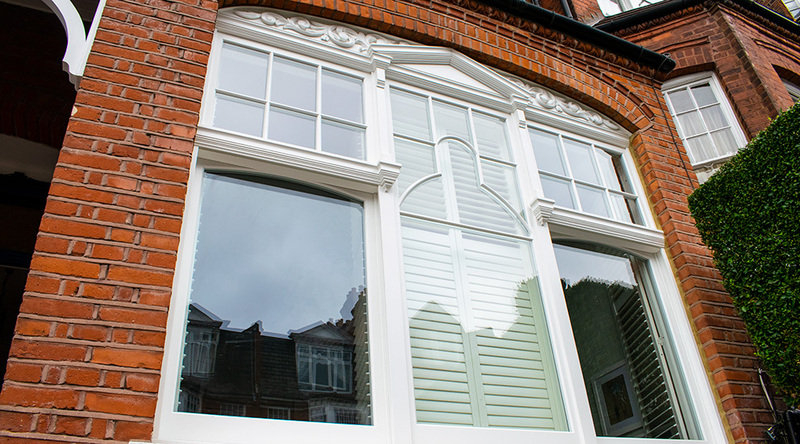 In our showroom at 149 Chase side we have on display fully working timber French doors, front doors, casement and sliding sash windows for your viewing. 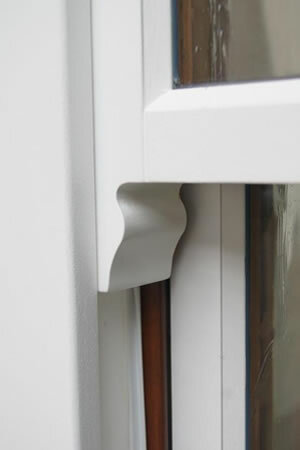 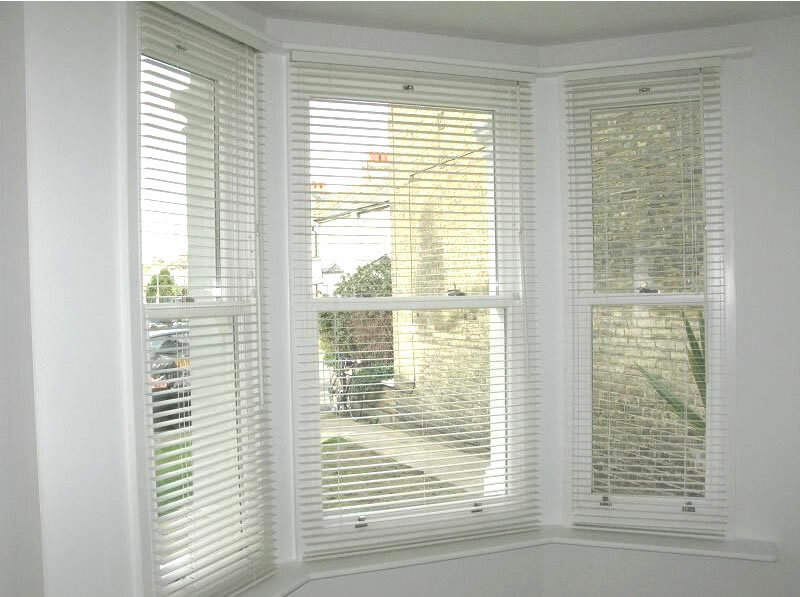 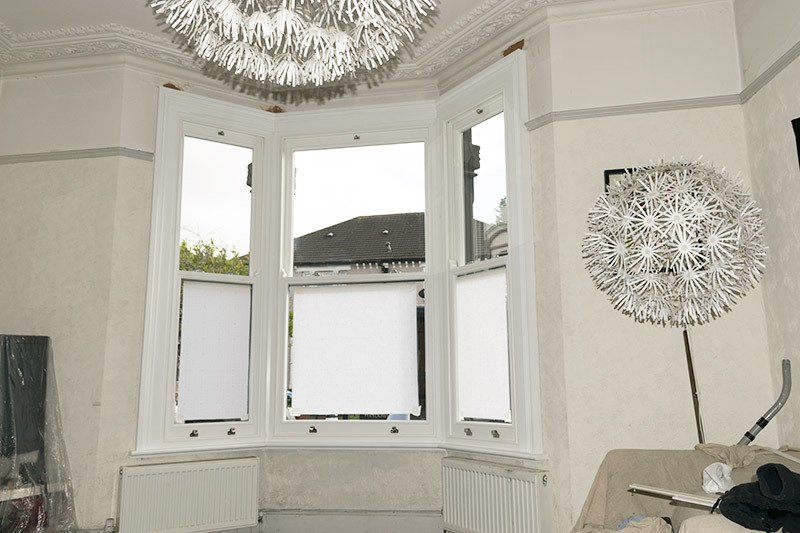 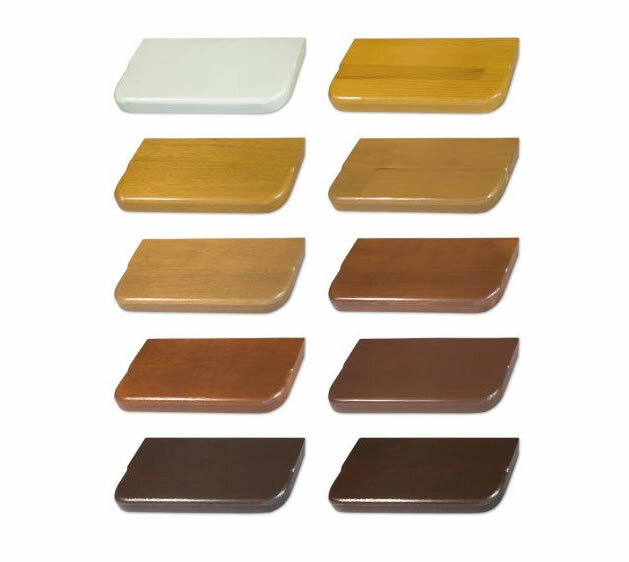 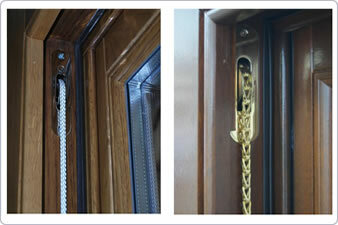 Internal window boards provide a durable, neat, clean and easy maintenance window solution. 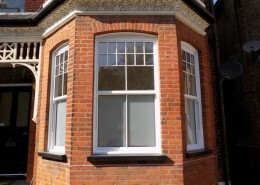 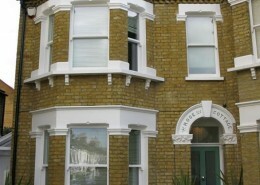 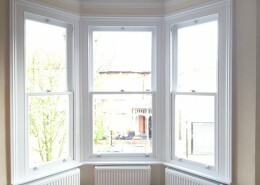 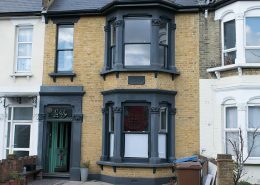 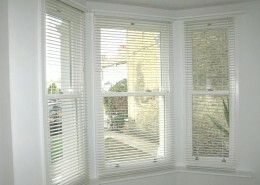 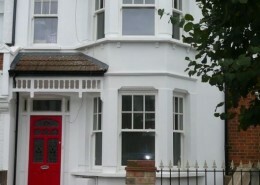 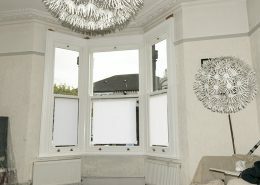 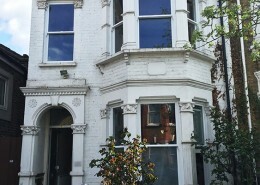 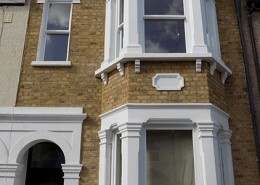 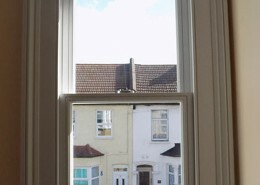 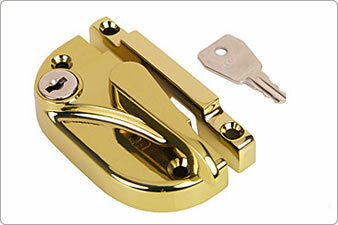 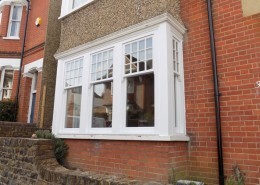 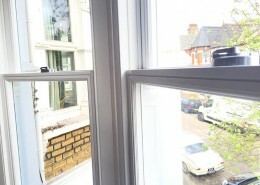 If you will to discuss any aspects of timber sash windows please give us a call on 0208 363 3233 or contact us via email.